scientists who are truth tellers. How does an excellent website like SOTT post an article that attempts to debunk chemtrails. SOTN hesitated to even post the article below but felt compelled so that others could see just how sophisticated this war has become. Geoengineering has now been admitted by various parties within the U.S. Federal Government and scientific establishment. So why in the world would SOTT.net publish an article refuting what the authorities themselves have disclosed. What is particularly alarming is how tepid the commenters at SOTT were in their implied agreement with the absurd article. However, it is the fact that SOTT posted such a ridiculous piece that should concern the entire alternative media! 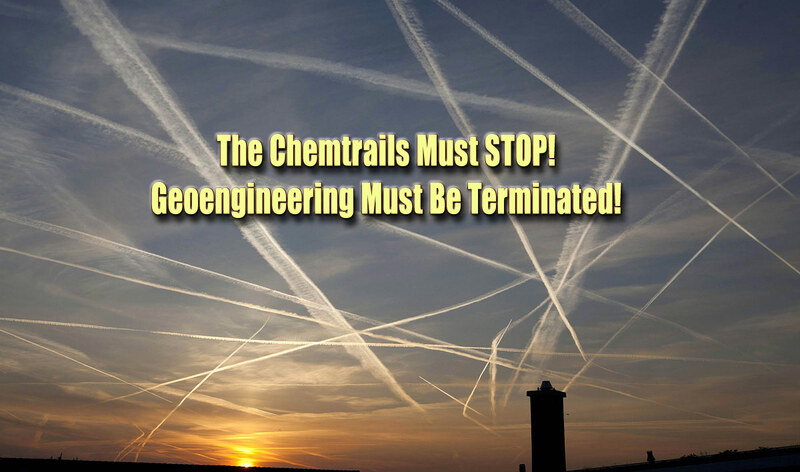 Atmospheric scientists drop shocking bombshell: Chemtrails aren’t real! A commercial airliner produces a condensation trail in the skies over California. The world’s leading atmospheric scientists overwhelmingly deny the existence of a secret, elite-driven plot to release harmful chemicals into the air from high-flying aircraft, according to the first peer-reviewed journal paper to address the “chemtrails” conspiracy theory. Researchers from the University of California, Irvine, the Carnegie Institution for Science and the nonprofit Near Zero organization asked 77 atmospheric chemists and geochemists if they had come across evidence of such a large-scale spraying program, and 76 responded that they had not. The survey results were published Wednesday in Environmental Research Letters. Heat from aircraft engines produces condensation trails that can be clearly seen from the ground. 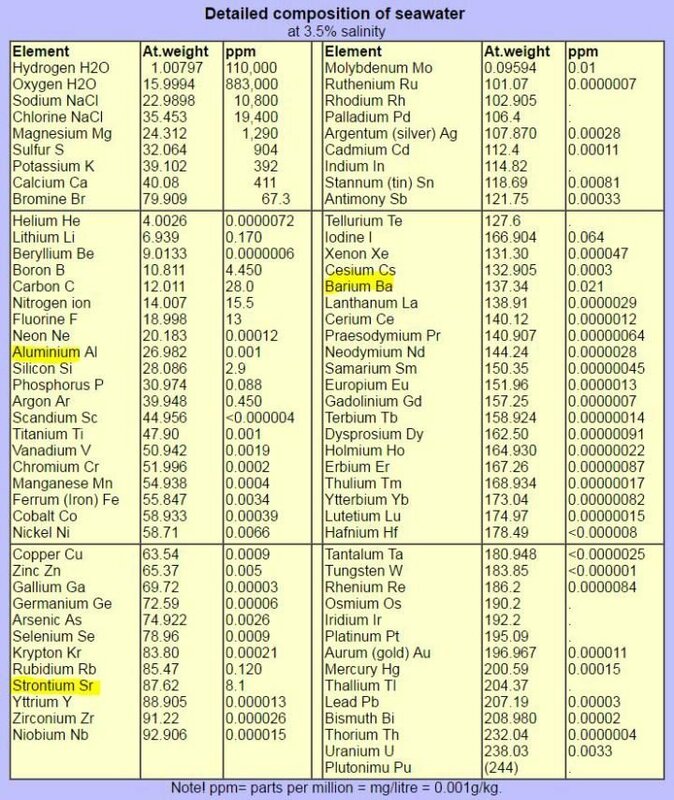 A small but vocal segment of the population firmly believes that these are composed not merely of condensed water vapor but of chemicals and elements such as strontium, barium and aluminum that powerful, high-level entities have been intentionally and covertly releasing into the atmosphere for decades. They find the increased number and lingering presence of these aerial streaks suspicious and claim to have identified toxic substances in soil and water samples. The belief in chemtrails parallels increasing public distrust of elites and social institutions, according to earlier social science research. To those convinced, the chemicals are sprayed to regulate the food supply, control human population and/or manipulate weather patterns. In recent years, the theory has expanded to include government-sponsored geoengineering to mitigate climate change. 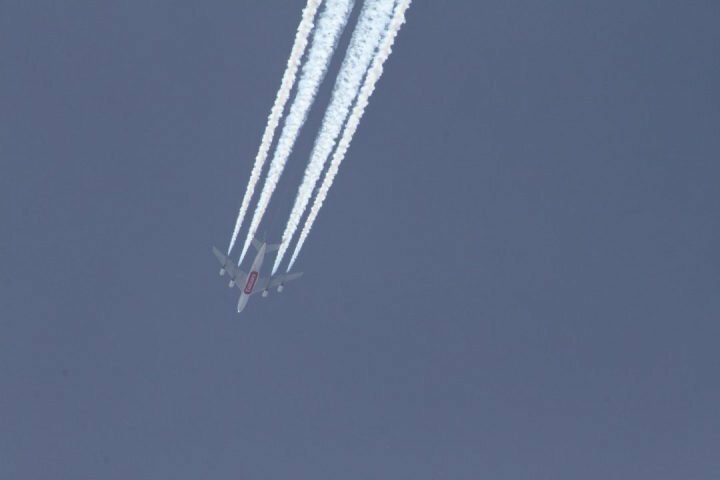 Some of the surveyed specialists suggested that global warming may in itself be a cause of longer-lasting condensation trails from aircraft engines.Another contributor, outlined in the study, is the steady growth of air travel in recent decades, which leads airplanes to fly higher, where contrails are more likely to form and remain in the sky. The survey’s respondents – many of them currently active in research on atmospheric dust and pollution – stressed that methods of collecting samples of water, snow and soil recommended by chemtrails-focused groups may be to blame for faulty results. Obtaining and transporting samples via Mason jars with metal lids, for example, was cited as a poor practice that could lead to erroneous outcomes. Amen to that, as I’ve viewed “chemtrails” as some of the worst crap science out there. It goes hand-in-hand with wild atmospheric effect claims about HAARP, which persist today even though the HAARP facility was closed a few years ago. Ken Caldiera, a climate scientist whom I’m often in disagreement with is a co-author of this study said that “…showing that what some people think are chemtrails are just ordinary contrails.”. That’s exactly right. But conspiracy whackadoodles seem to think there’s an organized effort (imagine trying to keep thousands of airline pilots, ground personnel, and suppliers quiet for years), even going so far to fake-up video footage of a airliner cockpit “chemtrail switch” being thrown. It is a laughably transparent fake, notice the switch label is an overlay to hide the real lettering under the switch. The overlay isn’t even attached, and it slides when thrown. Snopes.com debunked yet another version of a fake chemtrail switch. But what is actually happening is that the airliner is going from one type of air to another, such as crossing a frontal boundary, or by changing altitude where the dew point and temperature are no longer conducive to exhaust condensation. Of course, such simple Occam’s razor type explanations don’t satisfy the chemtrail kooks. Now if we can just put HAARP, Anti-Vaxxers, and the particularly wrong and angry Slaying the Sky Dragon no greenhouse effect kooks in their rightful place of understanding science properly, we might actually have a more pleasant Internet. Nearly 17% of people in an international survey said they believed the existence of a secret large-scale atmospheric program (SLAP) to be true or partly true. SLAP is commonly referred to as “chemtrails” or “covert geoengineering,” and has led to a number of websites (e.g.,Global SkyWatch) purported to show evidence of widespread chemical spraying linked to negative impacts on human health and the environment. To address these claims, we surveyed two groups of experts—atmospheric chemists with expertise in condensation trails and geochemists working on atmospheric deposition of dust and pollution—to scientifically evaluate for the first time the claims of SLAP theorists. Results show that 76 of the 77 scientists (98.7%) that took part in this study said they had not encountered evidence of a SLAP, and that the data cited as evidence could be explained through other factors, including well-understood physics and chemistry associated with aircraft contrails and atmospheric aerosols. Our goal is not to sway those already convinced that there is a secret, large-scale spraying program—who often reject counter-evidence as further proof of their theories—but rather to establish a source of objective science that can inform public discourse. Read the entire paper – open access here. SLAP proponents argue that seemingly abnormal concentrations of elements such as strontium, barium, and aluminum in water, soil, and snow samples are the result of sprayed chemicals. Our survey asked experts to evaluate photocopies of three different laboratory analyses of elemental concentrations in samples of pond sediment, filter media, and snow that were posted on the SLAP website, Geoengineering Watch. 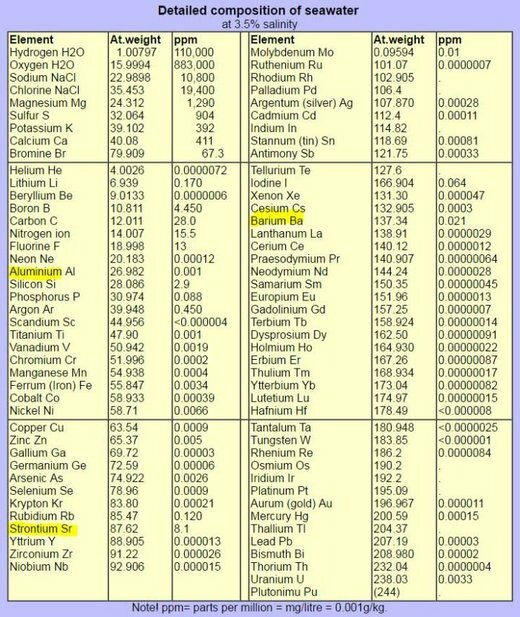 Additionally, experts were asked to evaluate the appropriateness of the sampling methods recommended by SLAP websites, and whether they have observed any secular changes in the environmental concentrations of strontium, barium, and aluminum over their careers, and the factors underlying any change.